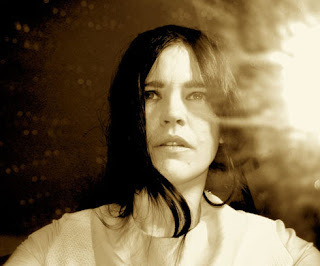 It is with a heavy heart that I am covering Broadcast again in memory of member and vocalist Trish Keenan of Broadcast who passed away quite unexpectedly a few weeks ago. James and Trish from Broadcast were private in regards to the inner workings of their band (they were not media whores and gave a limited number of interviews over the years) however they were incredibly willing to share their passion for music that inspired them via radio shows, DJ sets, and Internet posts and their fan base has ravenously kept track of it all. In fact the band's message board is rich with a great deal of information about the music that Broadcast has been influenced by. This in turn made it incredibly easy to piece together a whole new updated show for them using these bits of information; well easy in regard to the list of material, not so easy in finding quality versions of the songs to play on air. Luckily I have had two weeks to work on this show and have what I think is now an even better version of what aired nearly two years ago to the day. Broadcast have remarkably fine taste in music, especially rare weirdo gems from the '60s so for their fans who aren't familiar with their influences, I think all two hours of tonight's set will be mind blowing in the best way possible. Tune in tonight from 7pm to 9pm (Eastern Standard Time)- 97.3 fm for locals, www.wrir.org for live streaming and a look at the set list in its entirety. I will podcast the show and post a link to it here after the show tonight. Look at the tracklisting for the whole show here.